Technology Services – Hillcrest Media Group, Inc.
As our company grew to meet the demands of the rapidly growing self-publishing market, we developed our own technology so that we could provide a higher quality of service, in a more efficient and cost-effective manner than had ever been done before. In late 2009, we discovered a huge hole in the fast growing eBook conversion space. There were plenty of automated conversion options, but those only worked for pure text documents with the most basic formatting. Virtually nothing was out there for authors who had existing PDF files of their books and wanted a great looking eBook. Even less was available for authors who wanted their eBooks to have features like drop caps, hyperlinked footnotes, a nested table of contents, text borders, sidebars, color text, or complex lists. We decided to create our own patent-pending eBook conversion tool to solve the problem. 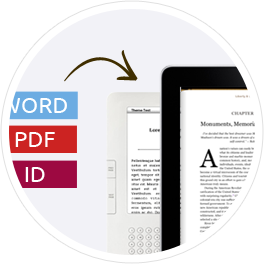 Our conversion tool can take a book in any format (text, PDF, or InDesign), add complex formatting (if the author needs it), and then can automatically create four perfectly formatted files: a MOBI version and three EPUBs (one for Apple devices, one for Nook devices, and one general ePub file). In addition to providing eBook formatting services for our own customers, we offer the same opportunity for other publishers and book distributors. We initially built our workflow management system to effectively and efficiently assist the thousands of authors we had in our system through the publishing and post-publishing processes. We needed a robust system that could handle customized publishing plans for each author, allowing them to move forward (e.g., approve a proof and go to print), backward (e.g., ready to print, but wants to make cover revisions) and linearly (e.g., add additional rounds of editing). Our publishing workflow management system took a year to build, and version 3.0 is set for release in January 2014. Our system has 800 possible publishing steps and substeps that handle every phase of the publishing process. These steps can be reconfigured on an individual basis to support specific services or author needs. 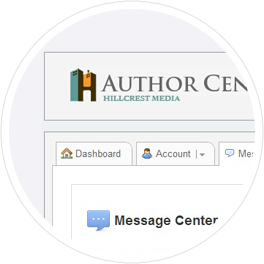 Our system simultaneously handles the workflows and communications between authors, Hillcrest staff, outside contractors, licensees and the licensees' customers. Unlimited promo code creation, allowing authors to create customized discount codes for specific groups of buyers.